Be the first to share your favorite memory, photo or story of Gayle. This memorial page is dedicated for family, friends and future generations to celebrate the life of their loved one. On Monday, April 8, 2019, a beautiful day to take flight, Gayle G. Bull, 82, of Mineral Point, formerly of Platteville, passed away in Mineral Point. Gayle Gene Webster was born on August 8, 1936, in South Wayne, the first child of Arlo and Dorothy (Goodman) Webster. As a child, Gayle attended school in Monroe. After graduating from high school, she attended what is now UW-LaCrosse. It was in LaCrosse that she met her husband Jim. Gayle and Jim were married on December 28, 1956 at St Victor’s Catholic Church in Monroe. In 1962, they moved their young family to Platteville, where Jim accepted a teaching position at UW-Platteville. In 1963, Jim, Gayle, and Don Eulert published American Haiku, the first magazine devoted to English Language Haiku. In 1973, Gayle and Jim established Paper Mountain Books, the motherlode of paper ephemera and Americana. Once their children finished high school, Gayle returned to college and earned her bachelor's degree in accounting from UW-Platteville. Following her graduation, she accepted the internal auditor position with Bob Clare’s system of banks. After several years, she accepted the internal auditor position at UW-Platteville, retiring as Internal Auditor Emerita in 1998. In June 2004, after purchasing The Foundry Books, Gayle and Jim made the move from Platteville to Mineral Point. Following Jim’s death in March 2005, Gayle continued to operate The Foundry Books while also actively involved in the Mineral Point community. Gayle served on the Historic Preservation Committee and was a member of the Mineral Point Chamber of Commerce where she served on the Board of Directors and as president for several years. Gayle and Jim were gracious hosts, opening their bookstore and home to authors for book signings, readings, and other events. After Jim’s death, Gayle continued their practice of warm, open door hospitality to their wide circle of friends, and friends of friends. She hosted book discussions, play readings, pot luck suppers, and simple, fun get-togethers that provided wonderful opportunities for nurturing friendships and enjoying interesting discussions on a wide range of topics. Seeing the importance of Haiku as an art form, Gayle organized and hosted many Haiku workshops. In 2008, Gayle and her dear friends Jerome Cushman and Charlie Trumbull created the Cradle of American Haiku Festival, making Mineral Point the hub of American Haiku. For the next 10 years, Gayle continued to host many Haiku festivals, workshops, and conferences. Gayle is survived by her daughters, Kelly Bull, Mineral Point and Becky (Jim) Reich, Hollandale; daughter-in-law Linda Bull, Platteville; grandchildren Scot (Laura) Hartline, David Hartline, and James Reich, all of Lancaster; Libby Reich (Brent Rogers), Fitchburg; Paul Reich, Mt. Horeb; Trista (Richie) Reuter, Hammond; and Chealsey (Matt) Steffen, Platteville; great-grandchildren Megan, Abby, Joey, Nolan, Taylor, Kylie, Daileighana, Dazaria, Apollo, Adonis, Ryan, Lucy, Zoey, and Ely. Gayle is further survived by her sisters Karen (Connie) Wehinger, Monroe; Rosie (Bud) Weiser, New Glarus; LaVon Roselli, Clear Water, FL; and Evelyn Gilbert, Reno, NV; brother Jim (Ruth) Webster, Burlington; and sister-in-law Mary Heath, Algonquin, IL. Also mourning her passing are her extended family of nieces and nephews, and a wide circle of close friends. 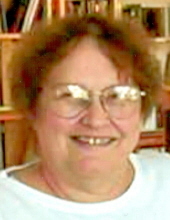 Gayle was preceded in death by her husband James E. Bull; son Charlie Bull; and daughter Patty Hartline; parents Arlo and Dorothy Webster; in-laws Charles E. and Sylvia (Dettinger) Bull; sister Kathy Kauk; brothers-in-law, Charles F. Bull, Rich Kauk, Mike Roselli, Paul Gilbert, Ed Miniatt; and Jim Heath; and sisters-in-law Bonnie Miniatt and Rita Waller. The family would like to thank Gayle’s doctors, nurses, and caregivers at Mineral Point Medical Center; UW Hospital and Clinics; Atrium of Mineral Point; Upland Hills Rehabilitation; Upland Hills Hospice; and all her friends who helped by bringing meals, visiting and staying with Gayle, caring for her gardens and plants, and so much more. In Gayle’s memory, in lieu of flowers, the family asks memorials be directed to Upland Hills Hospice, 800 Compassion Way, Dodgeville, WI 53533; or Cradle of Haiku, Inc., 324 High St #2, Mineral Point, WI 53565. A celebration of Gayle’s life will be held at The Walker House, 1 Water St, Mineral Point, WI, on Wednesday, April 24, 2019, from 6-9 PM. Her dear friend, Rev. Dan Schwerin, First United Methodist Church of Waukesha, will help us to remember Gayle. Please bring your favorite memories of Gayle to share, and, at her request, your favorite poem or Haiku. To plant a tree in memory of Gayle G. Bull, please visit our Tribute Store. "Email Address" would like to share the life celebration of Gayle G. Bull. Click on the "link" to go to share a favorite memory or leave a condolence message for the family.